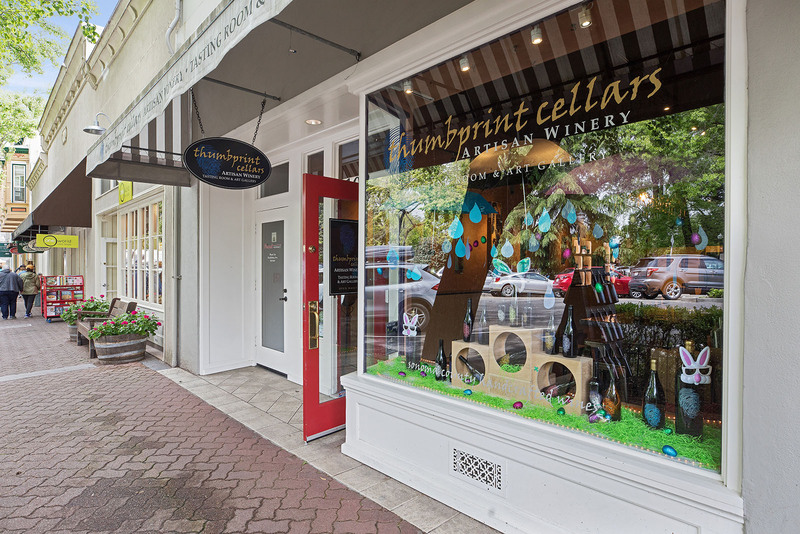 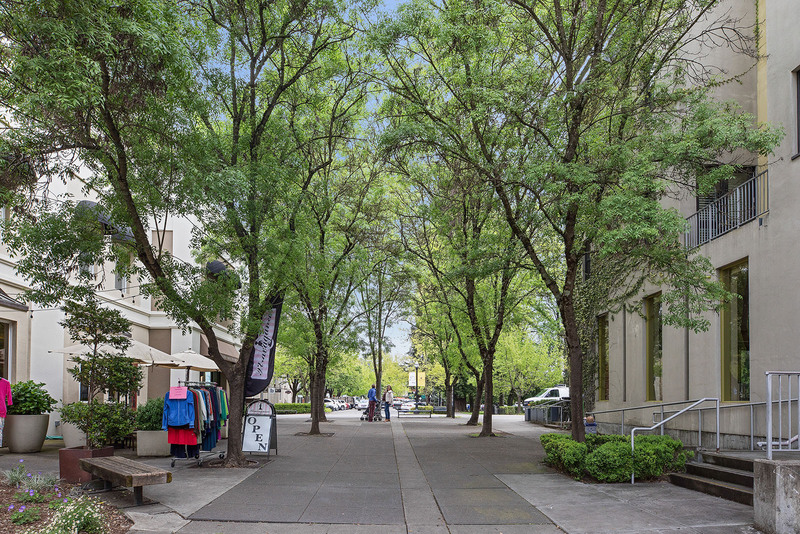 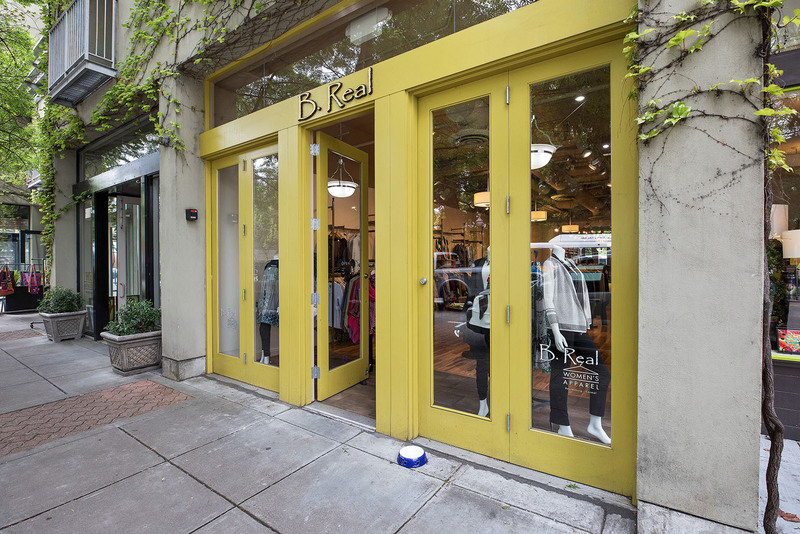 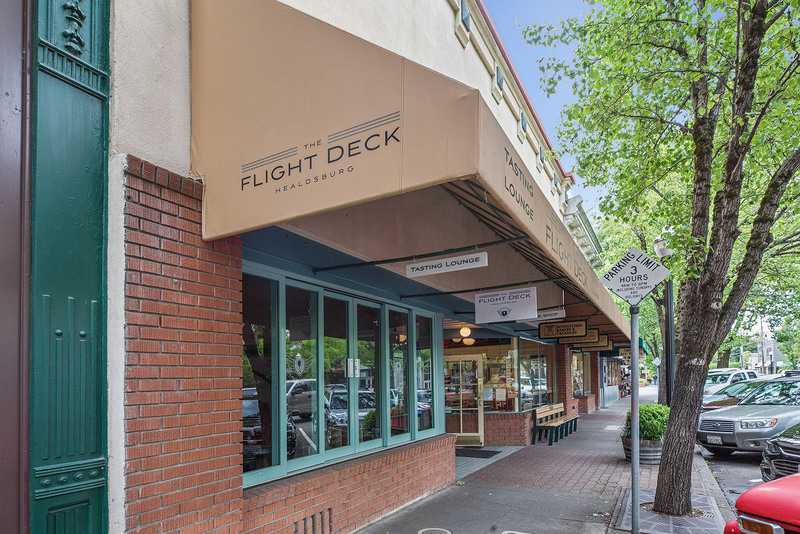 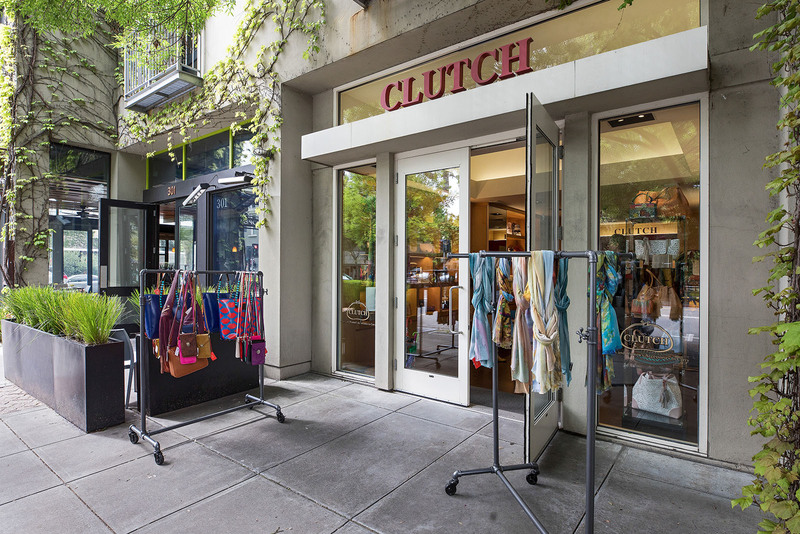 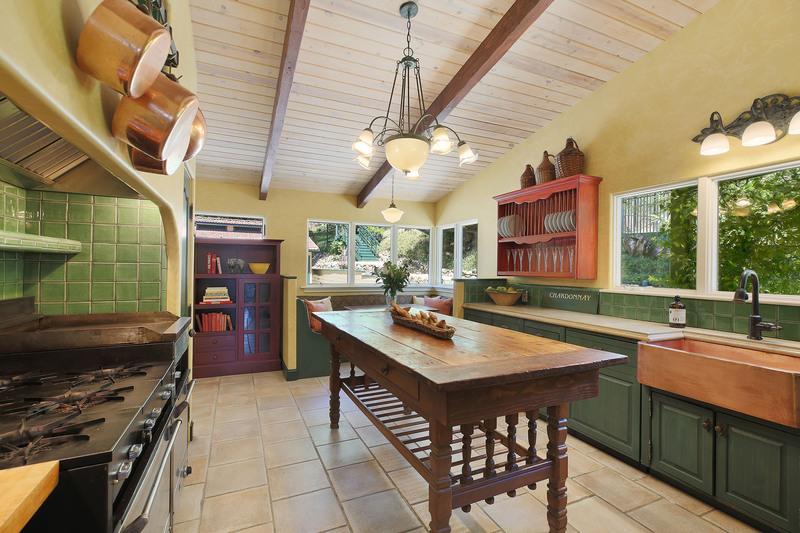 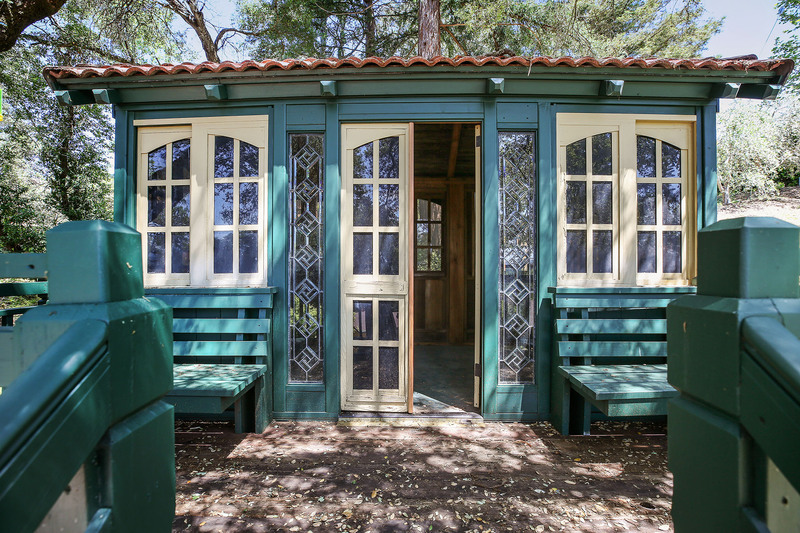 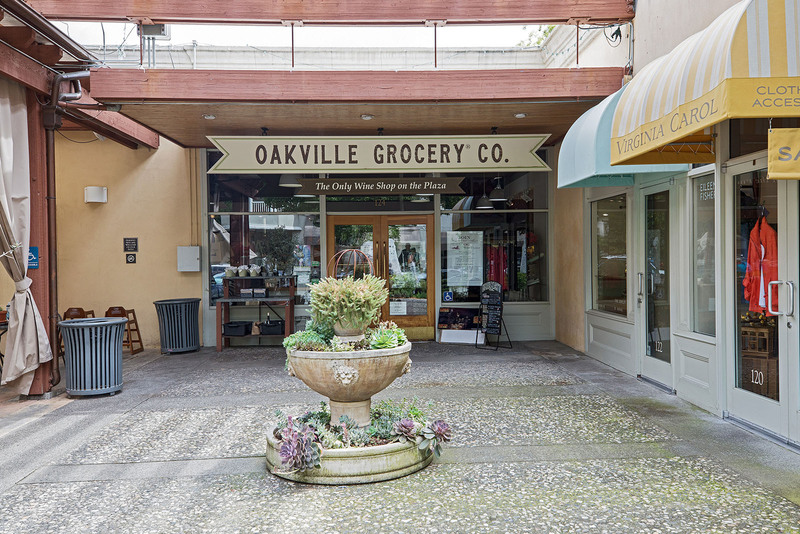 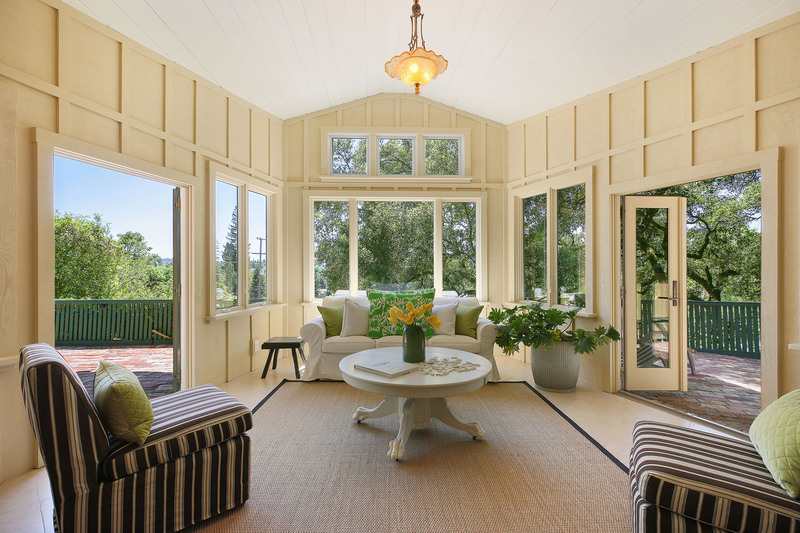 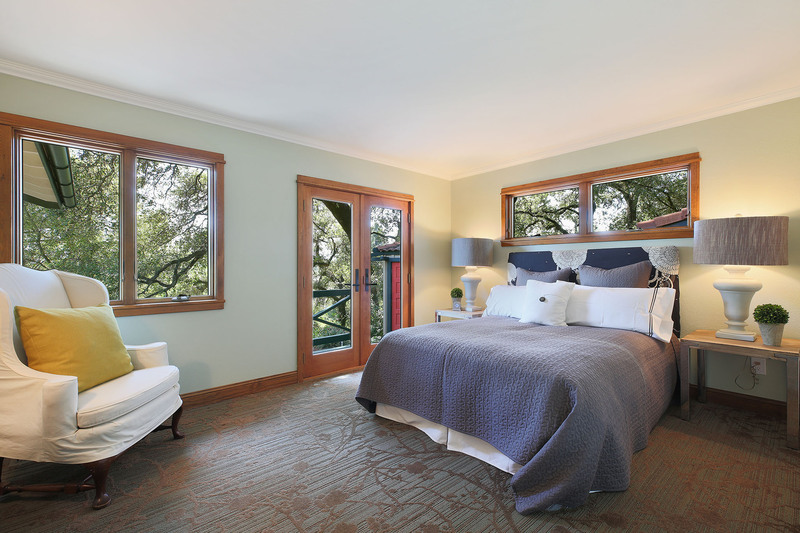 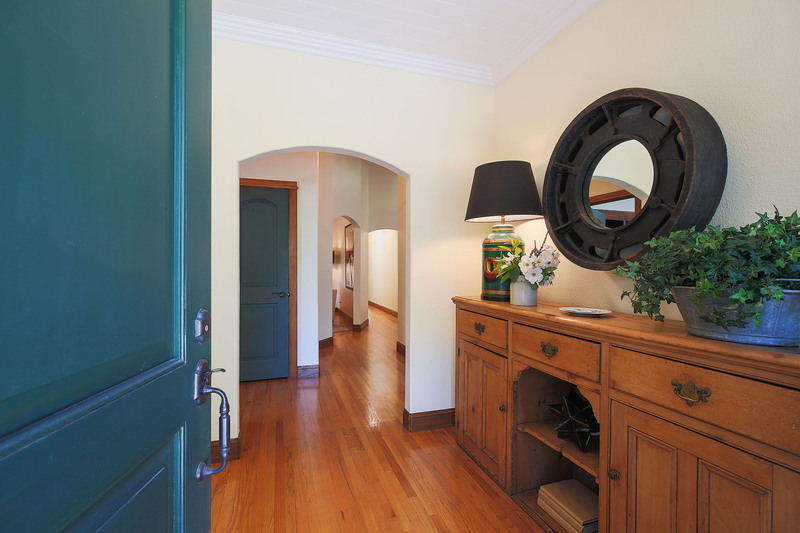 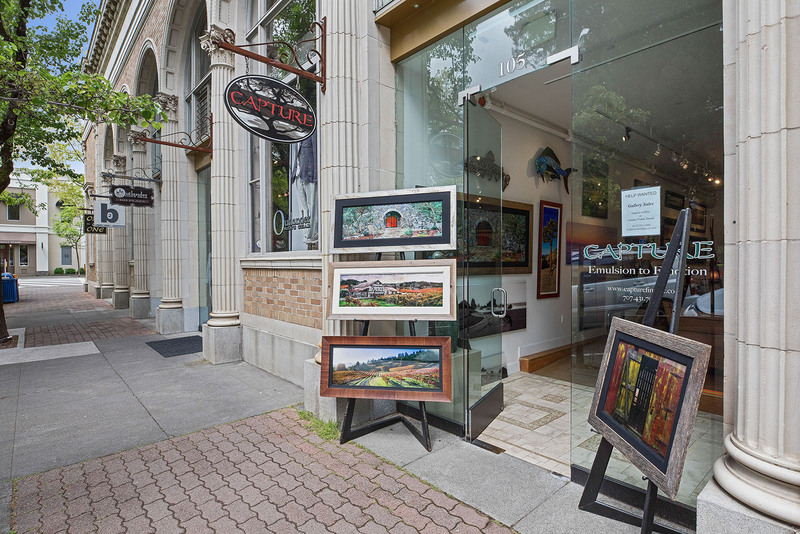 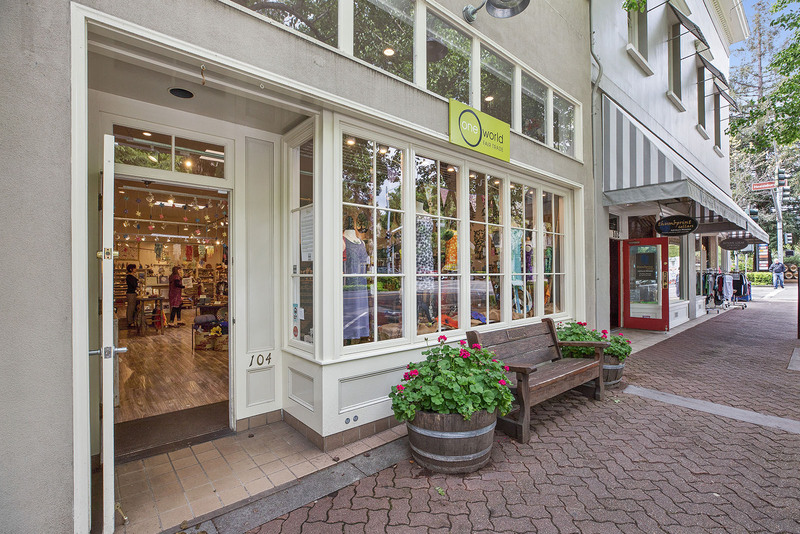 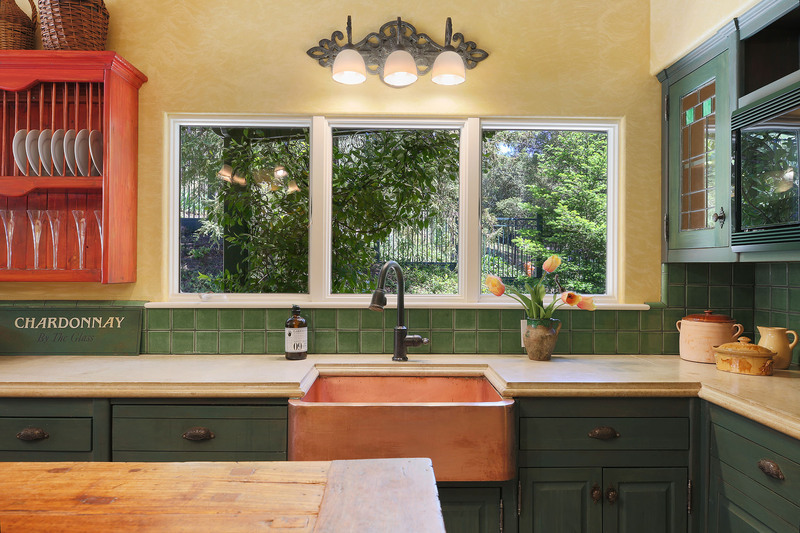 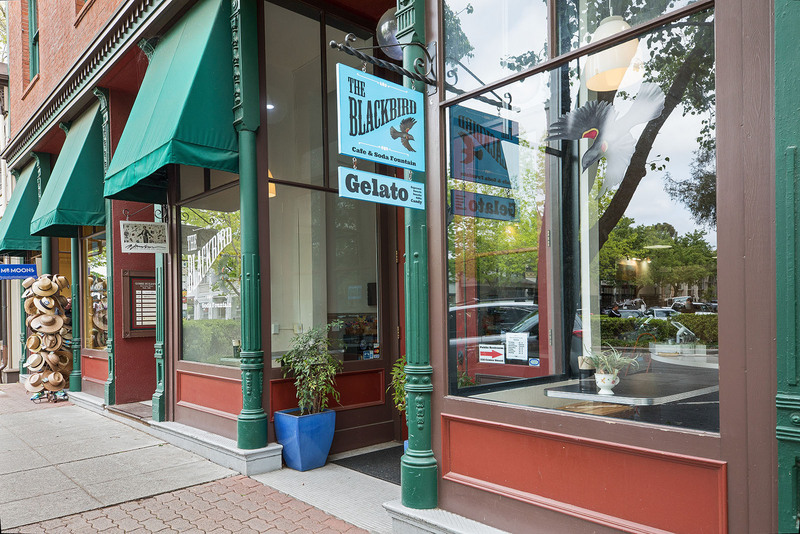 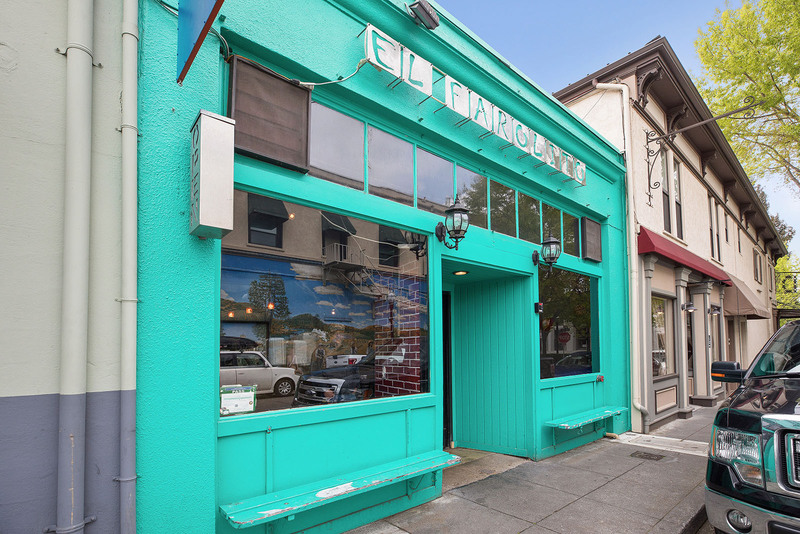 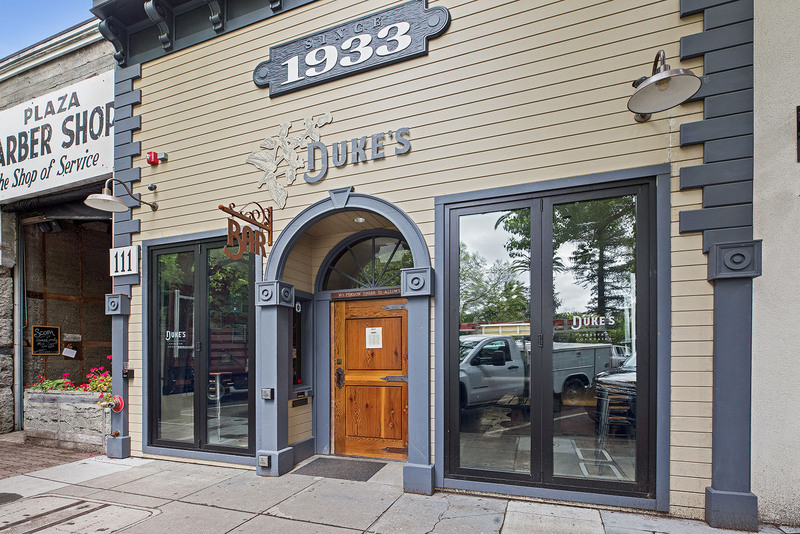 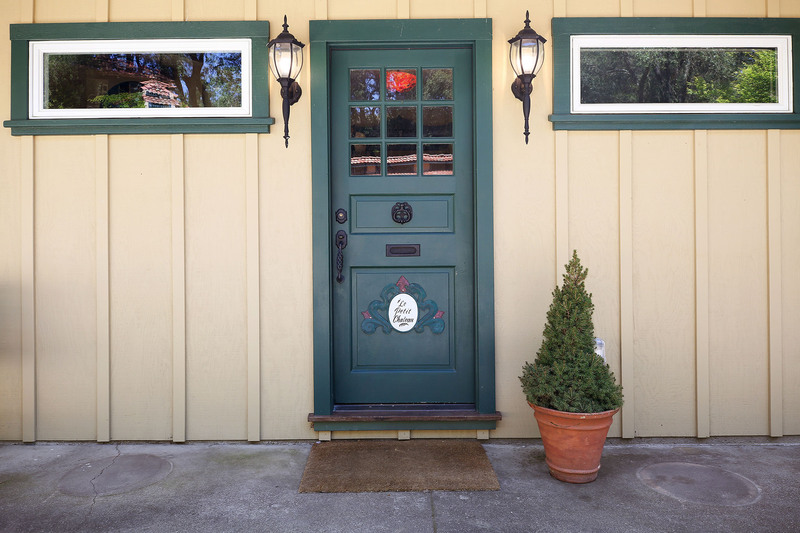 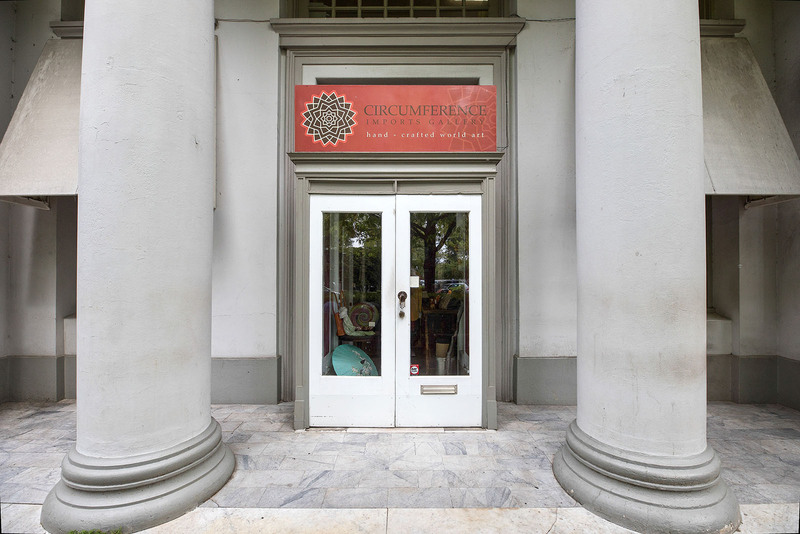 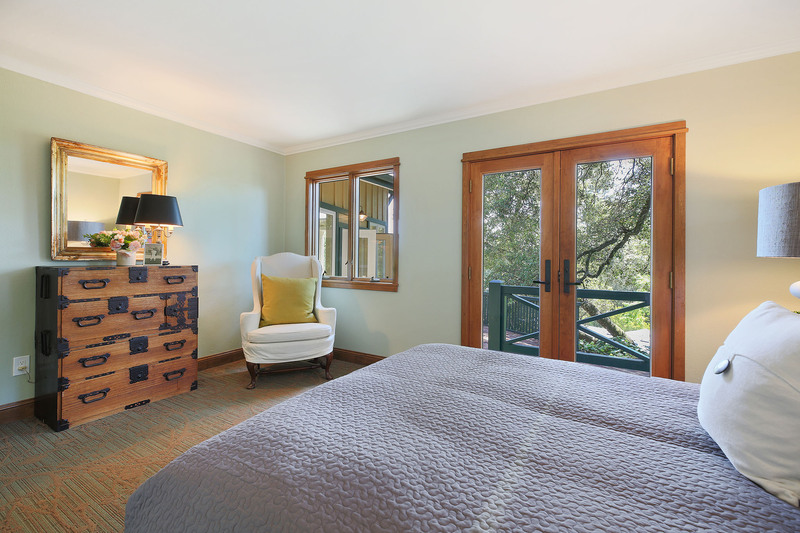 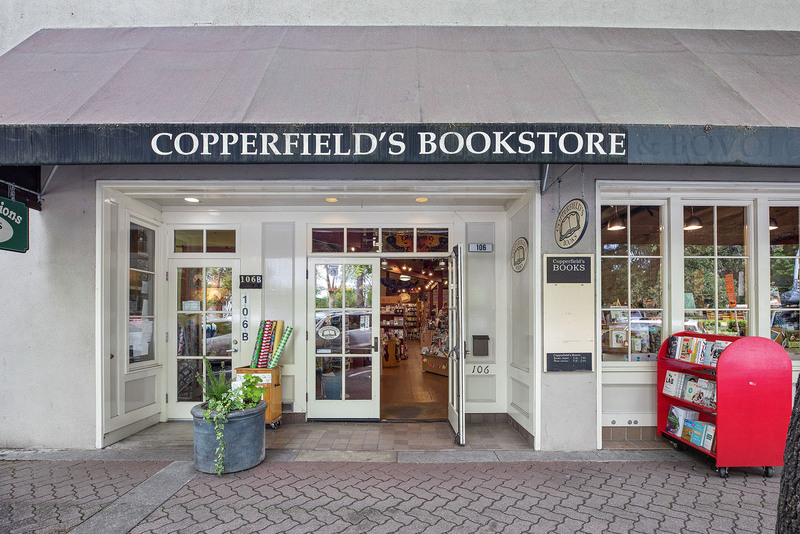 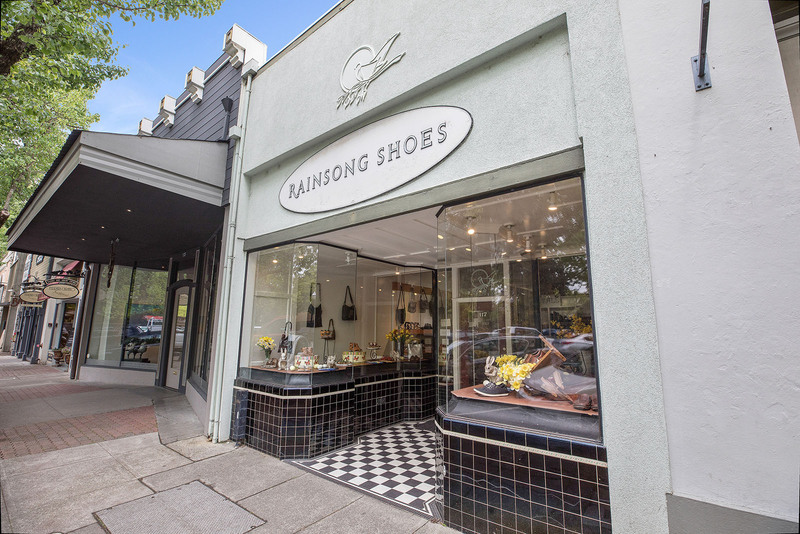 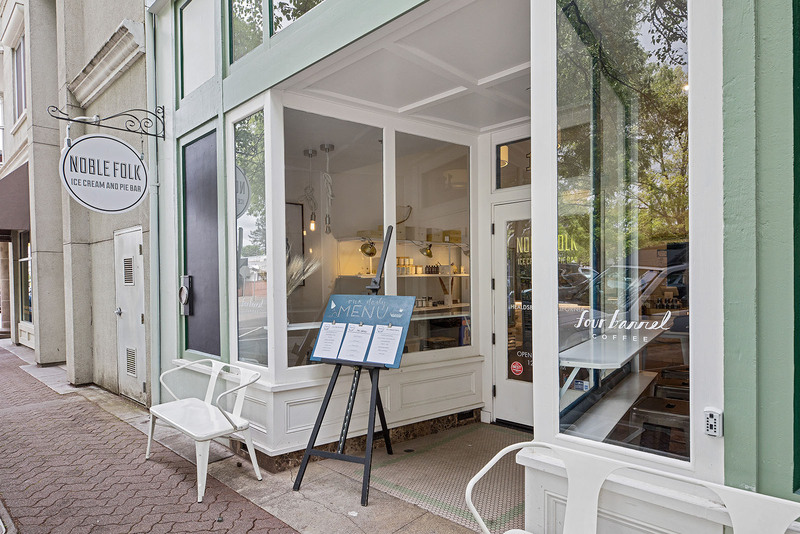 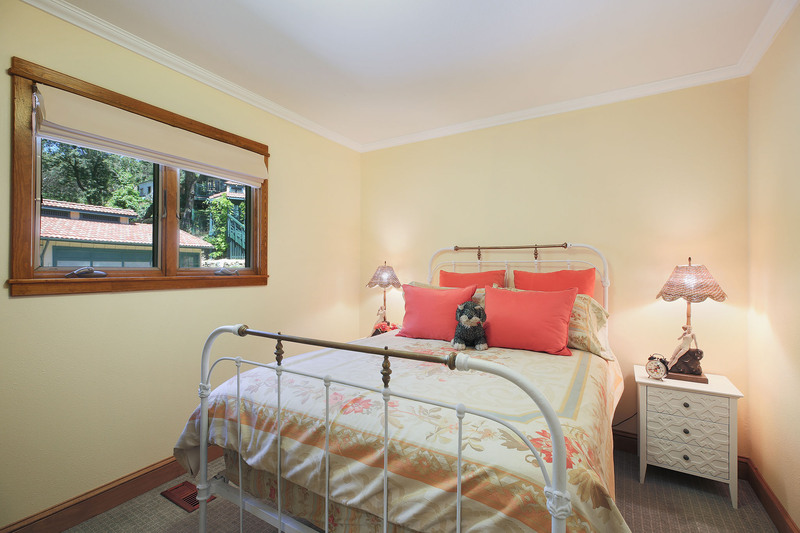 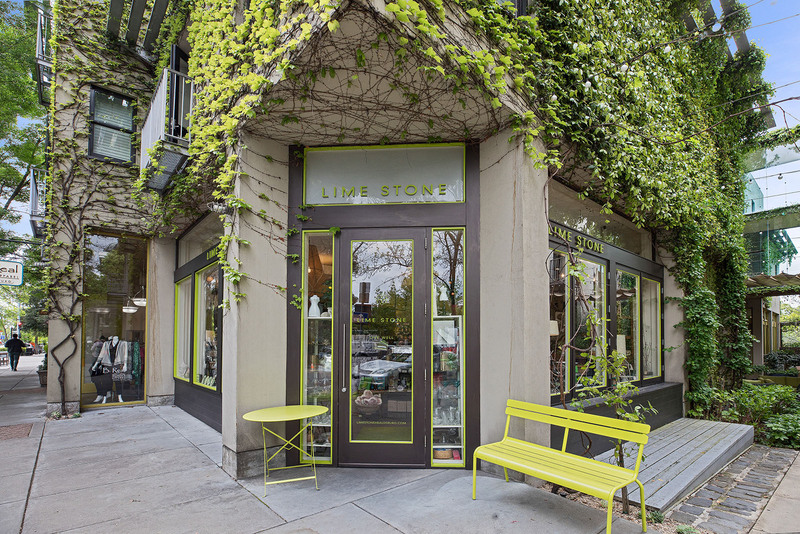 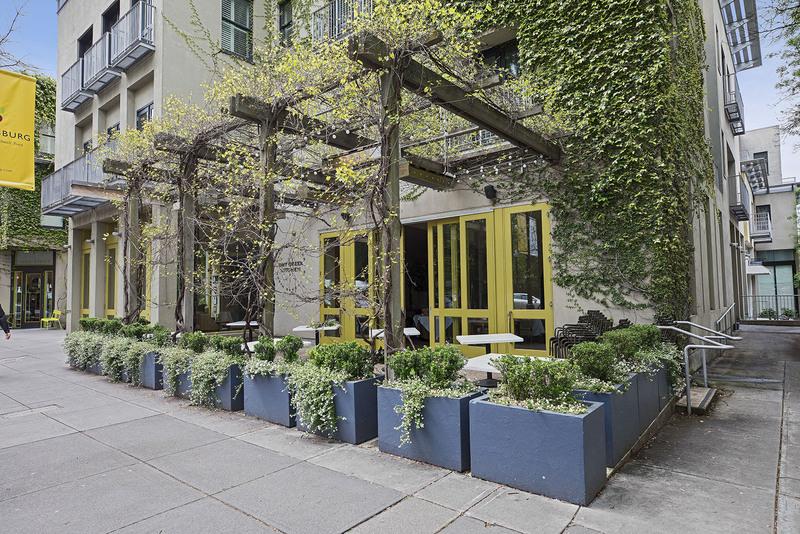 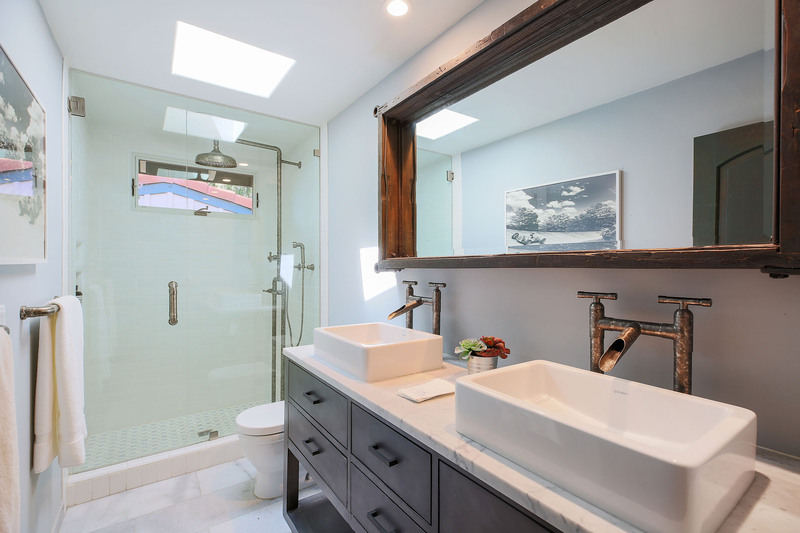 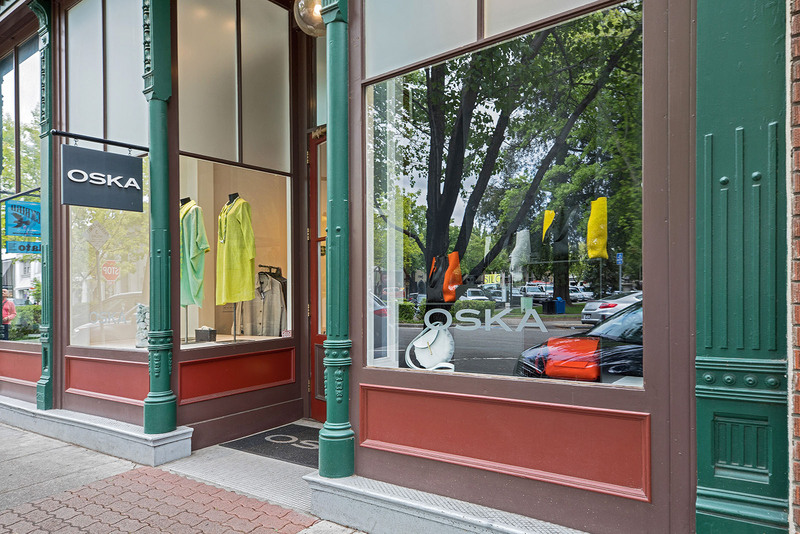 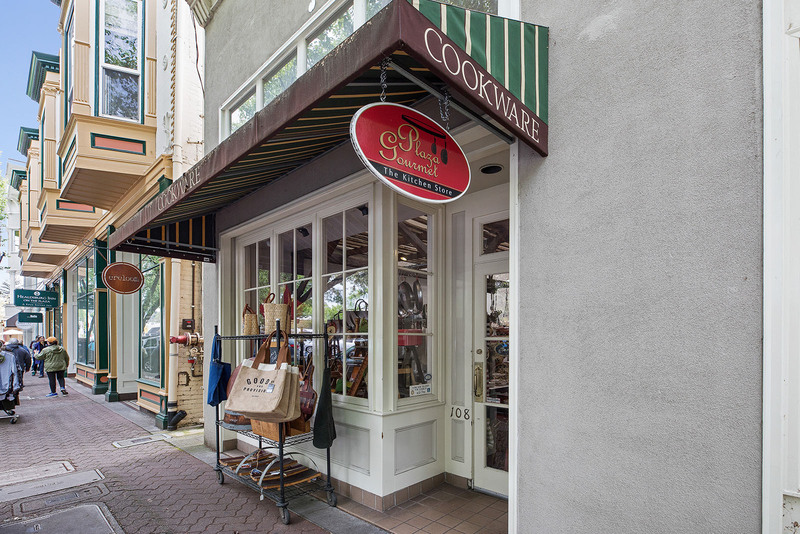 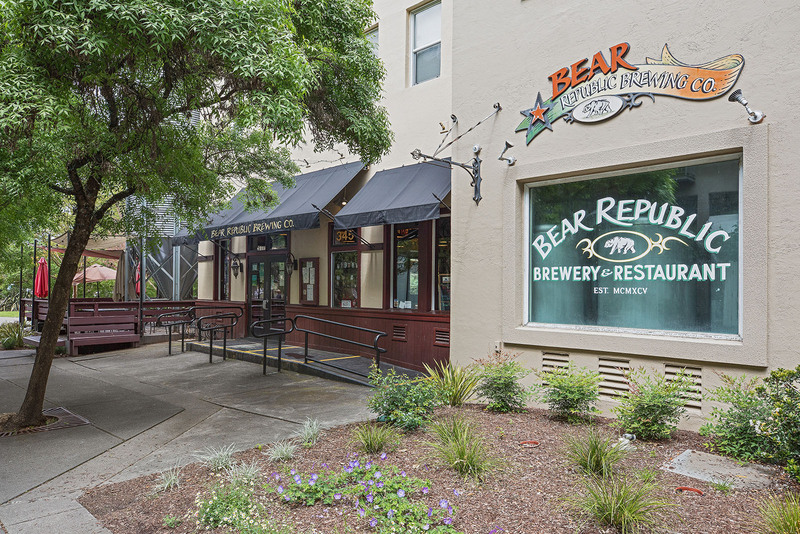 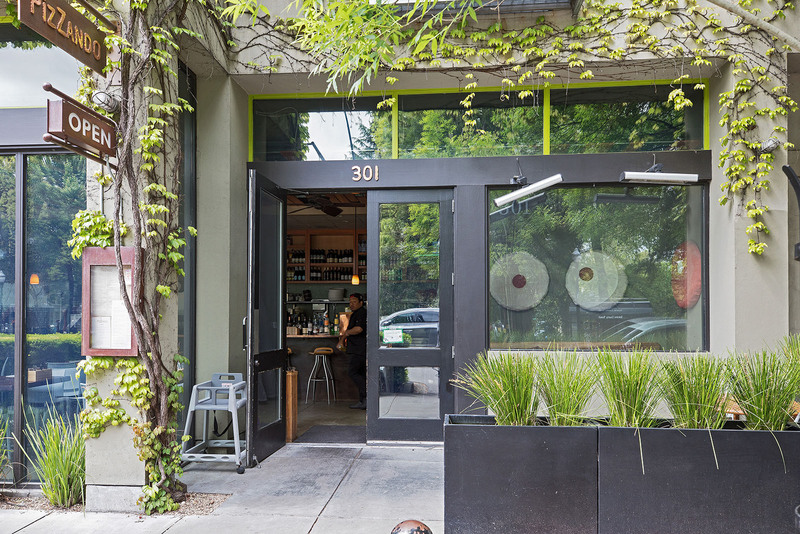 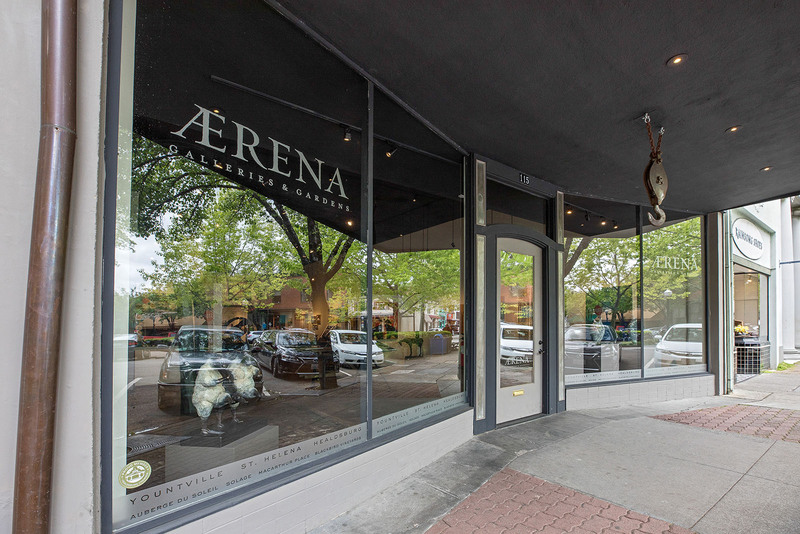 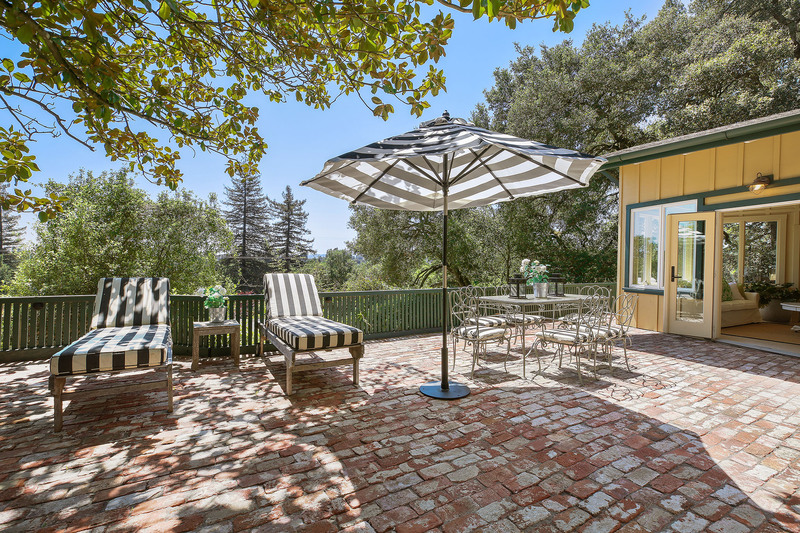 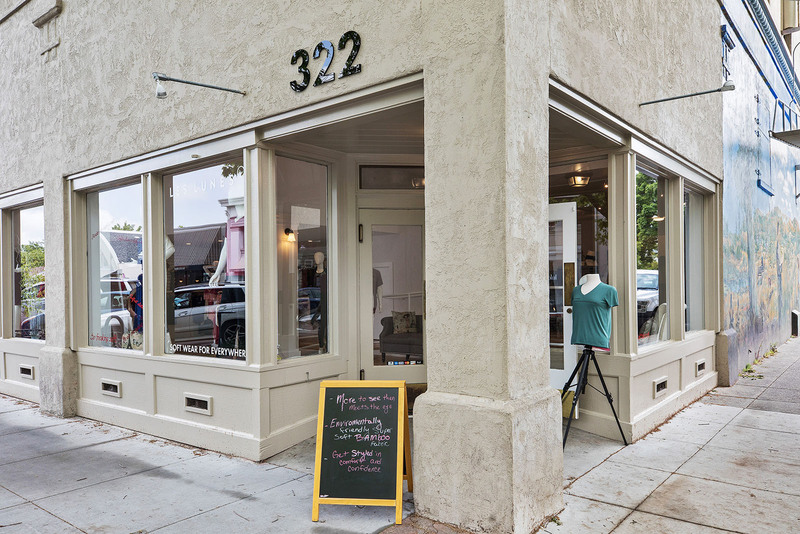 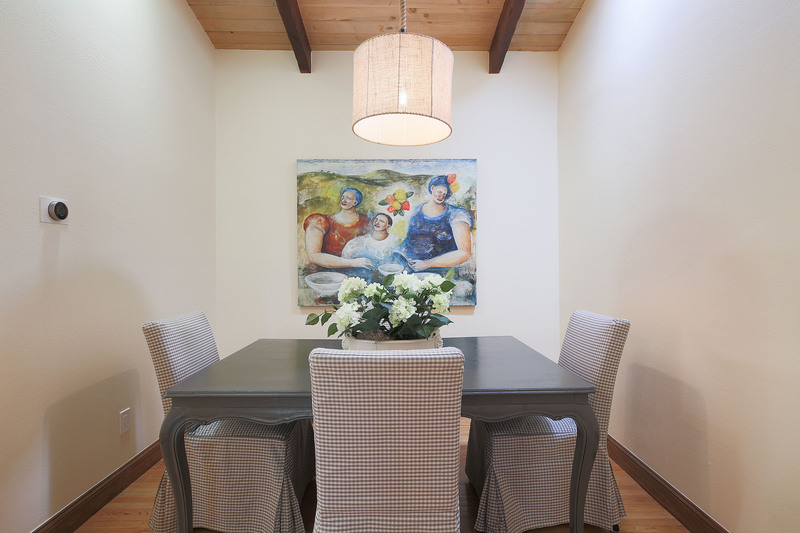 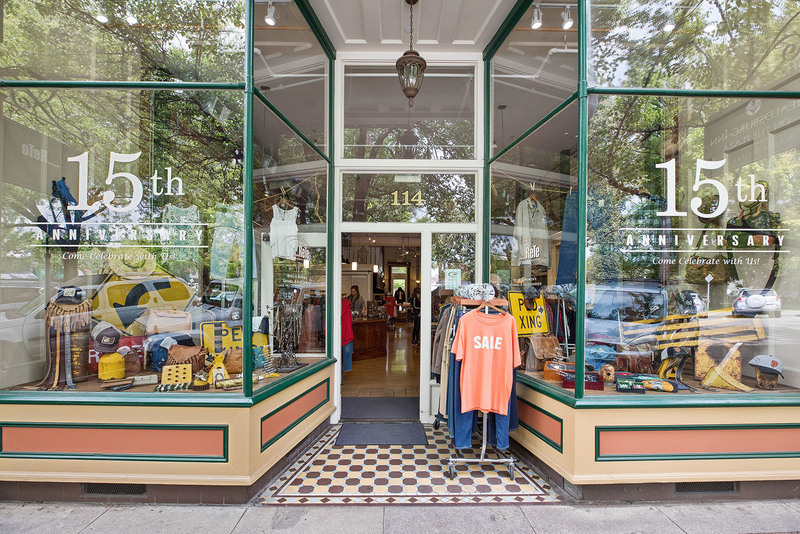 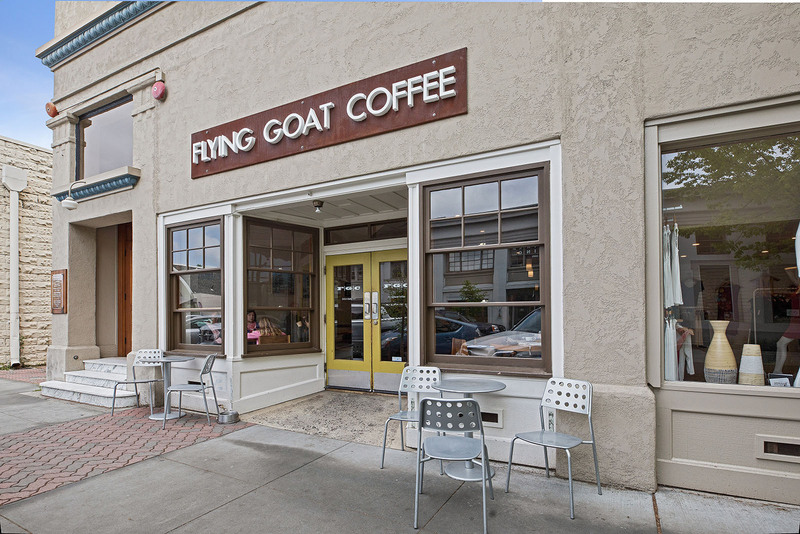 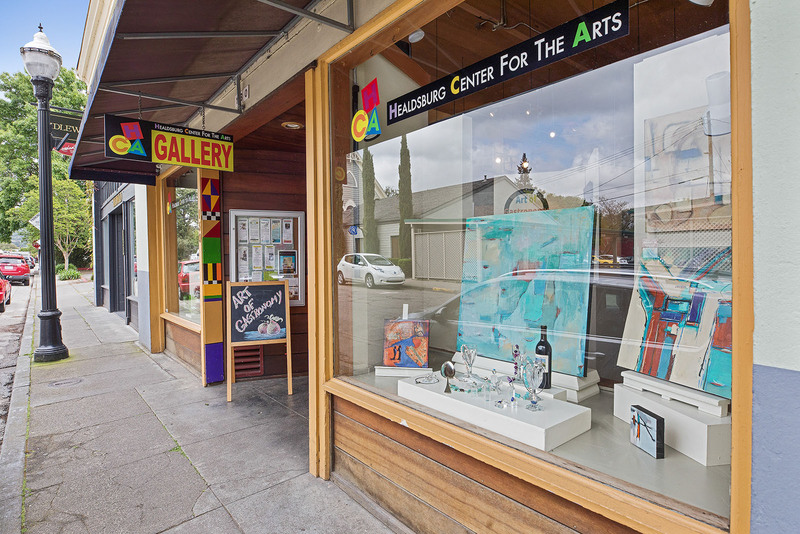 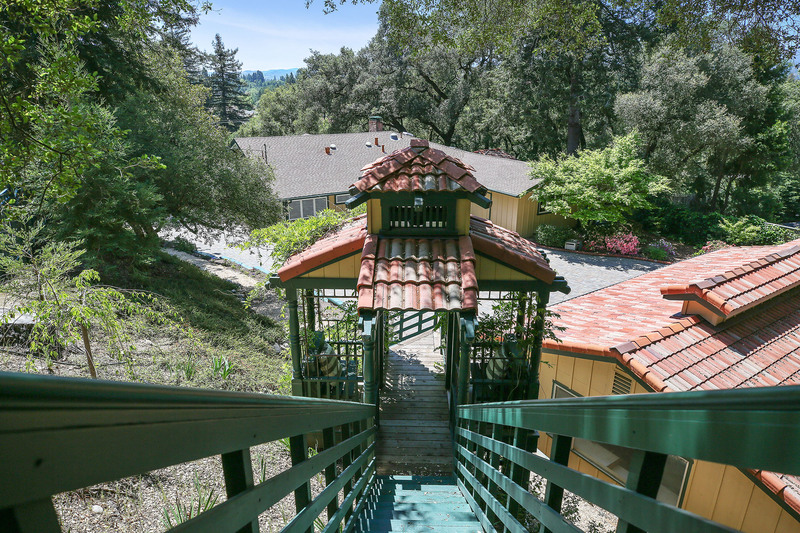 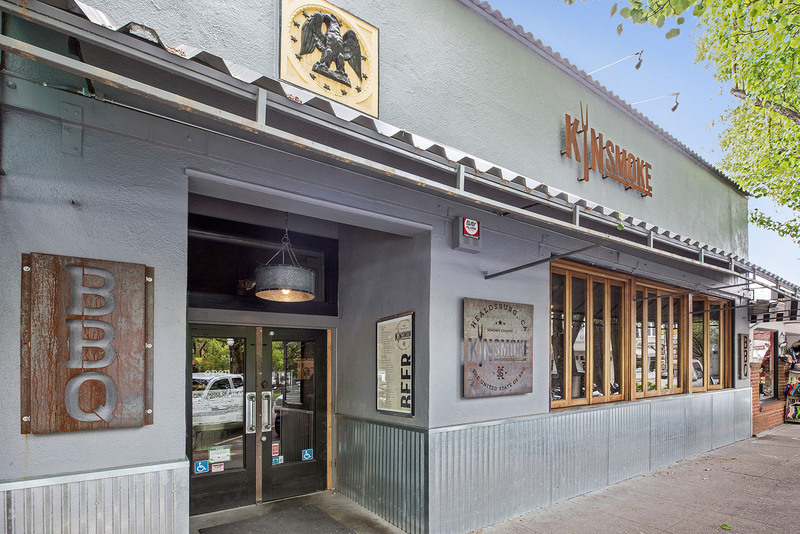 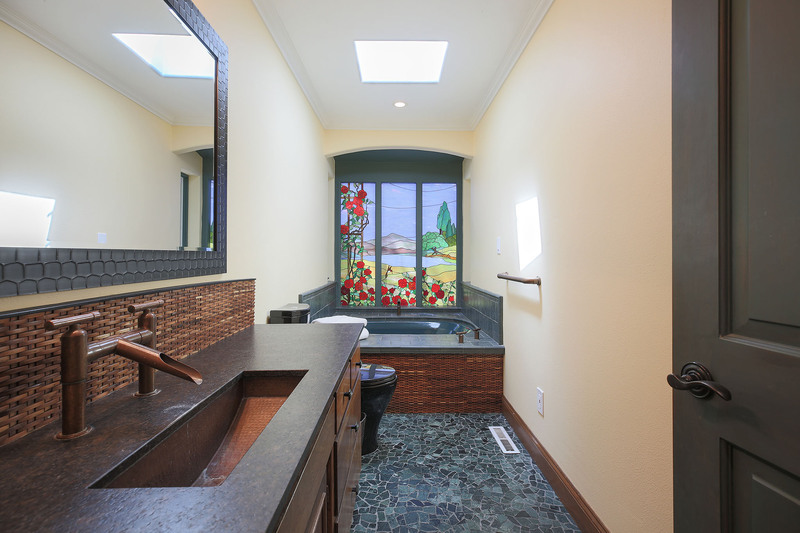 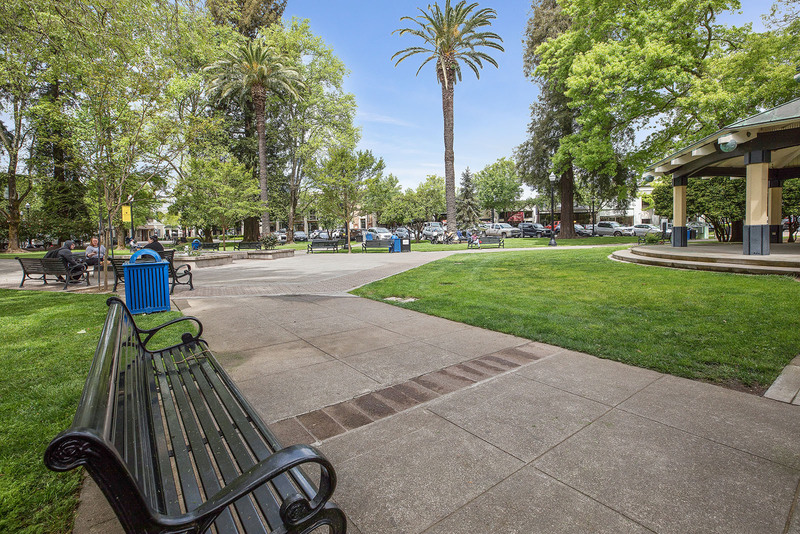 Located within walking distance to Healdsburg’s historic Plaza. 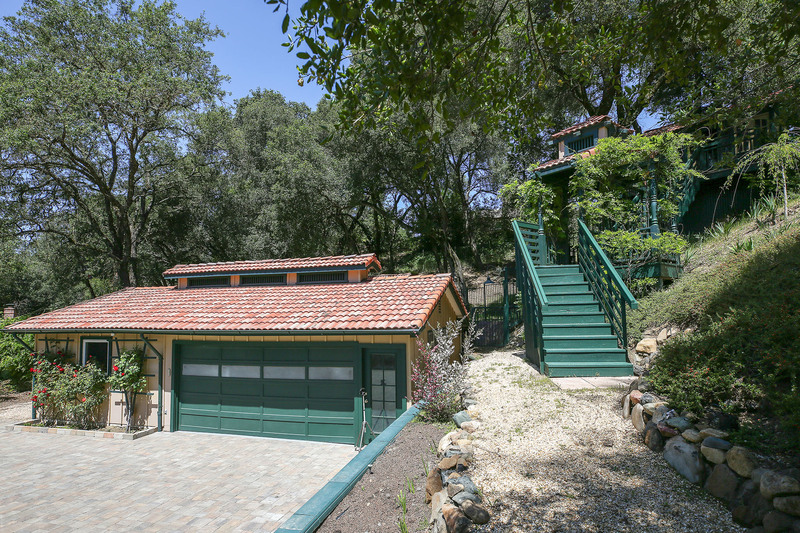 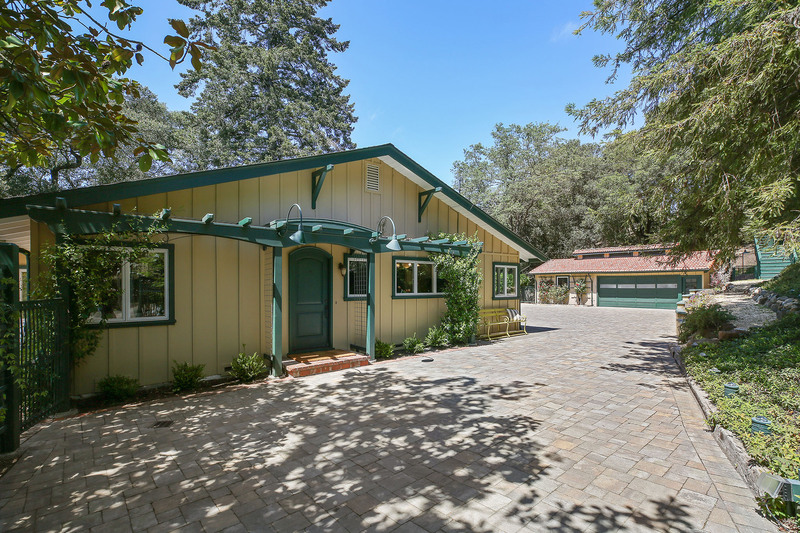 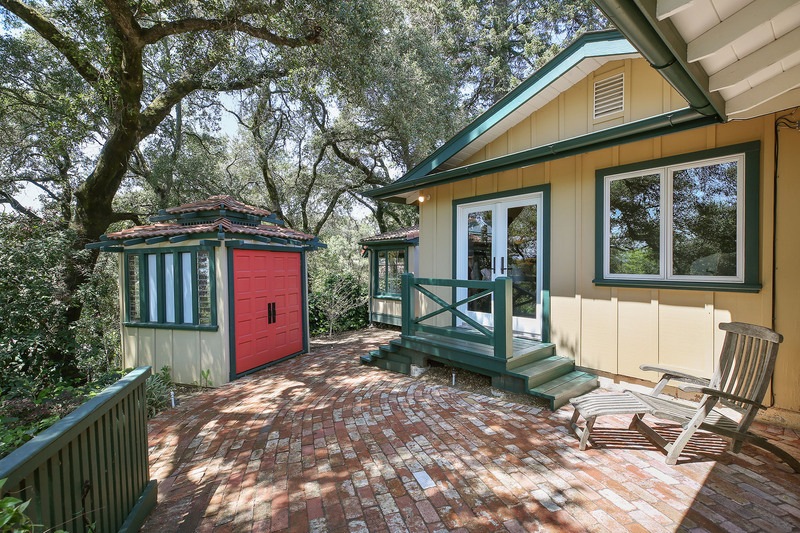 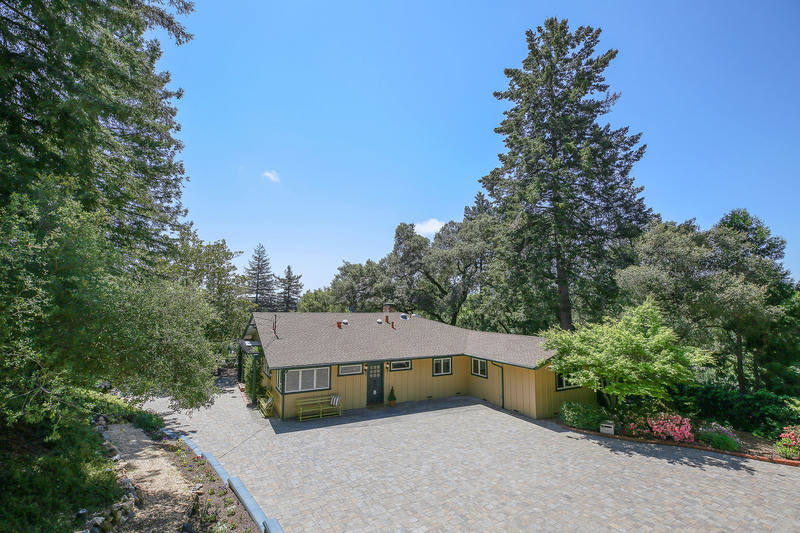 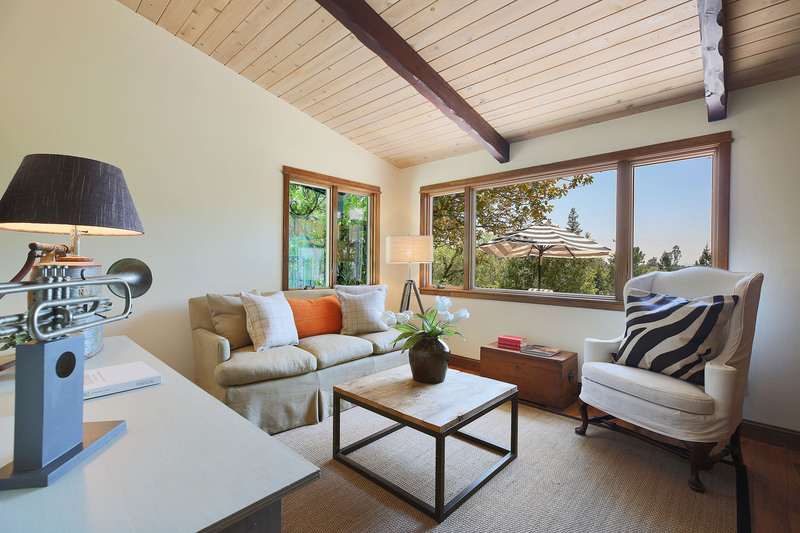 This spacious 3 bedroom, 2 full bath home sits at the foot of Fitch Mountain, offering views overlooking Healdsburg. 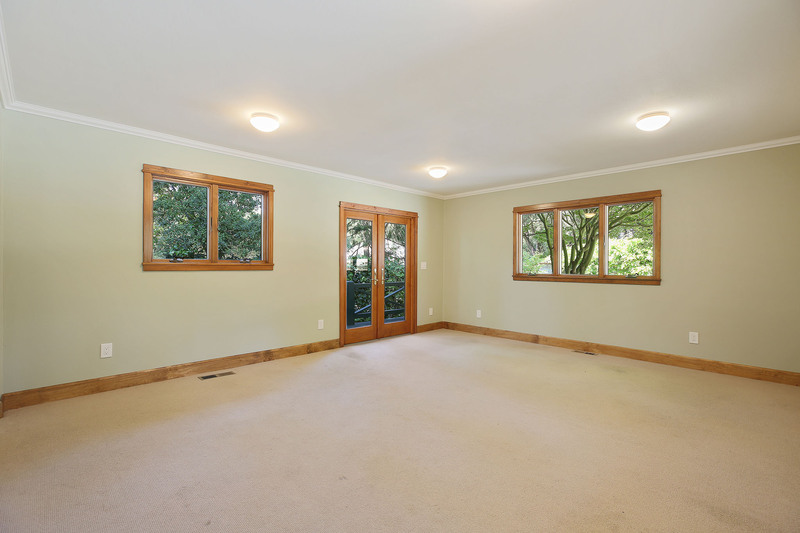 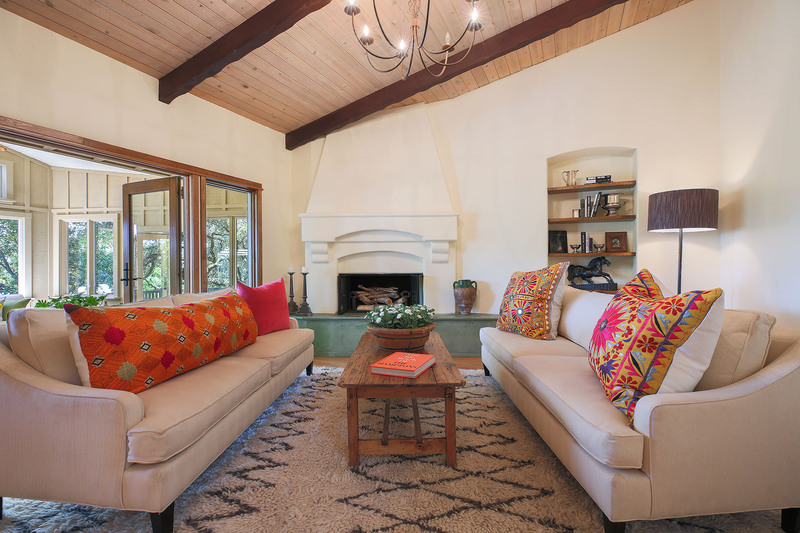 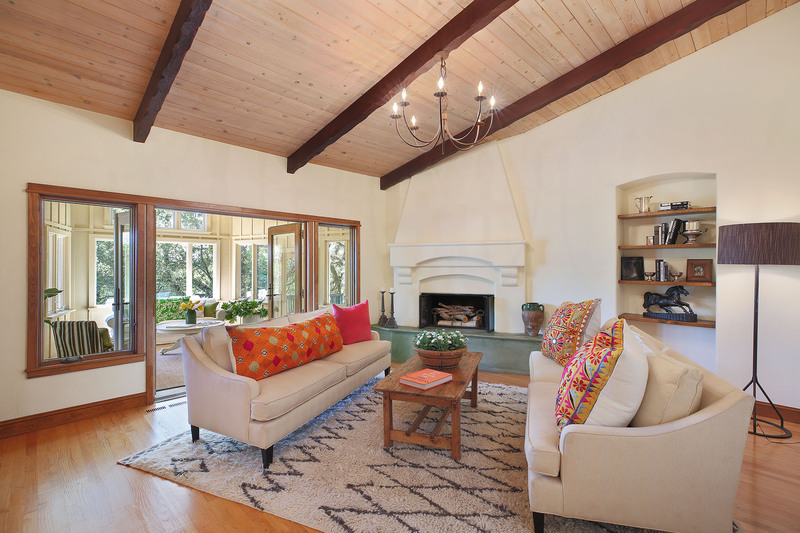 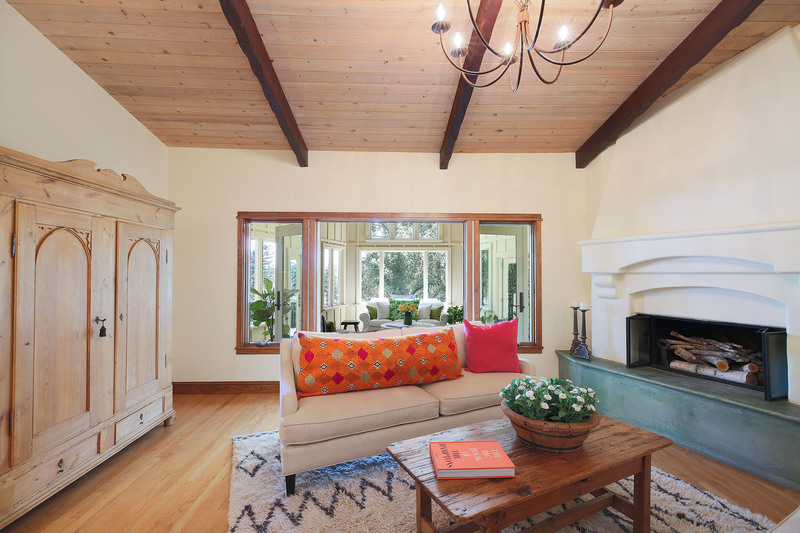 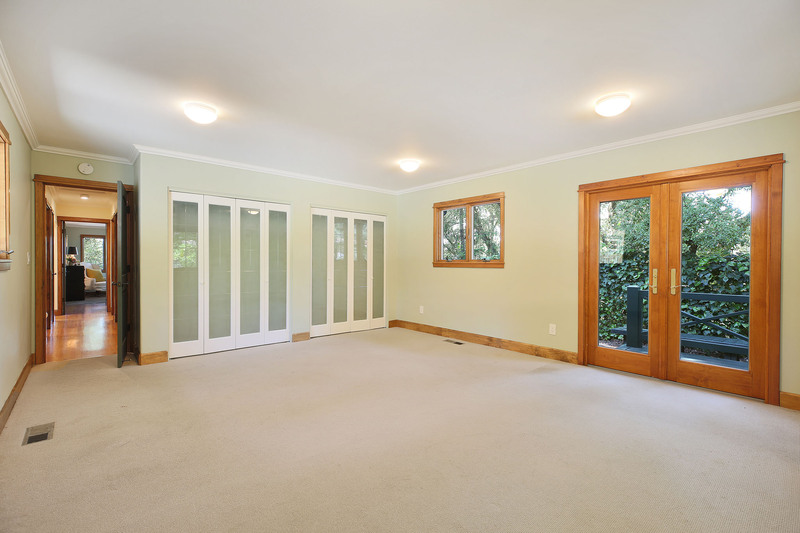 The spacious family room offers plenty of room for entertaining with a wood burning fireplace. 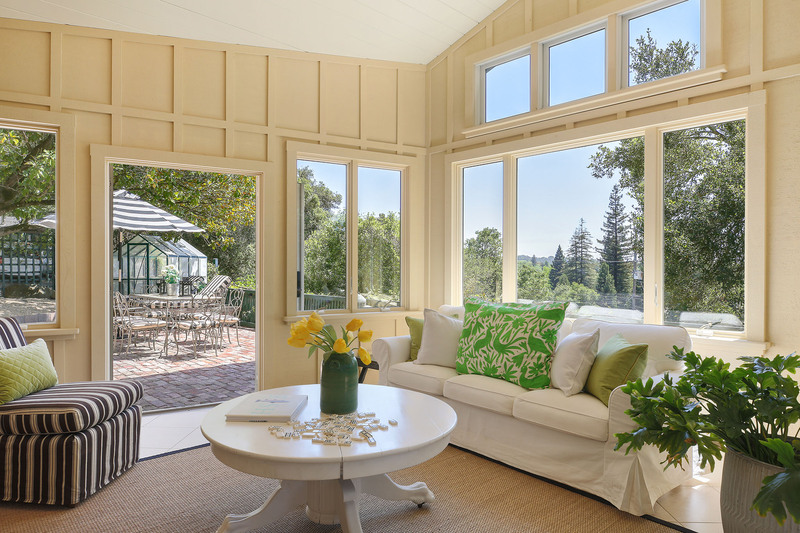 Adjacent sits a light filled sun room that’s a perfect place to read the paper with your morning coffee. 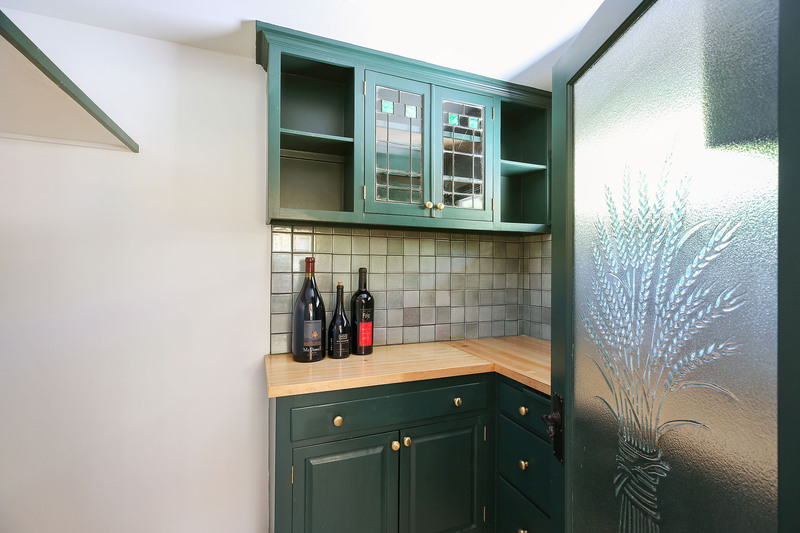 The well appointed kitchen features quality details throughout, including a butlers pantry, commercial oven and a quaint breakfast nook. 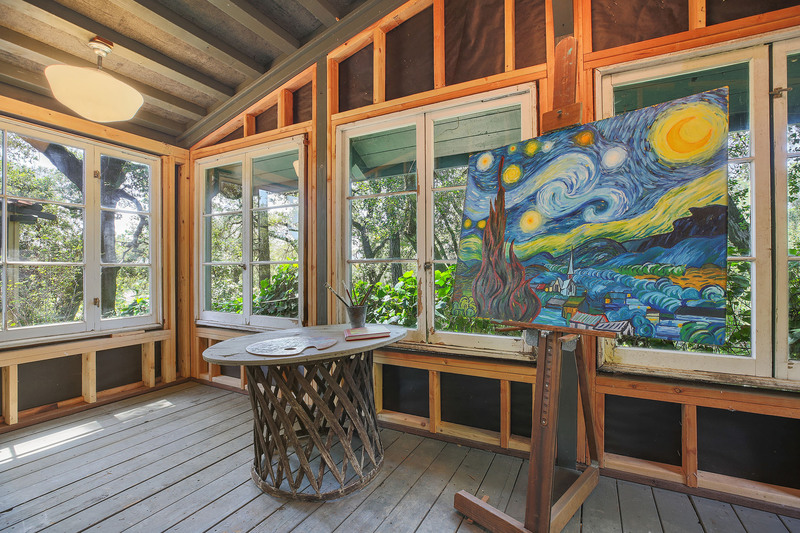 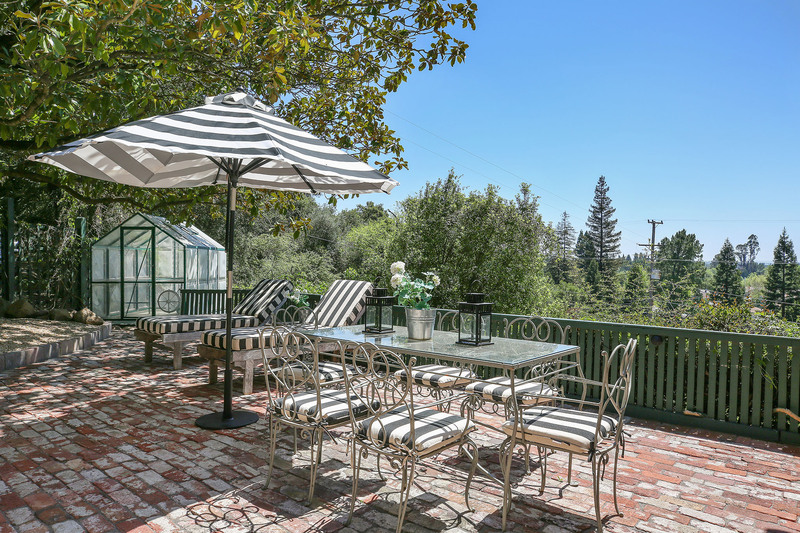 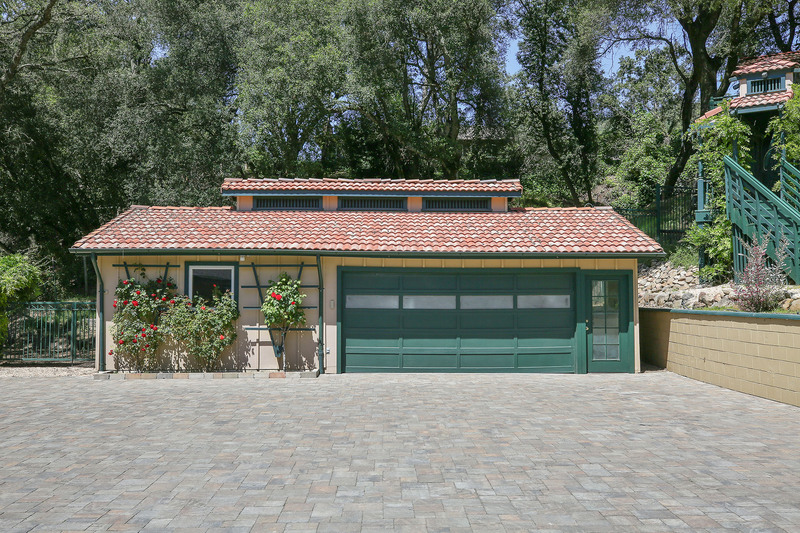 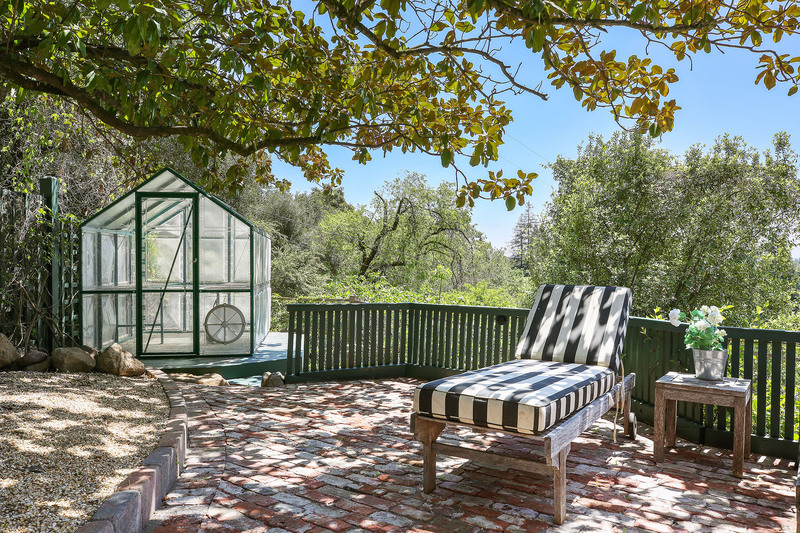 Situated on approximately half an acre, this property features a detached 2 car garage with a bonus room that could be used as an office or art studio. 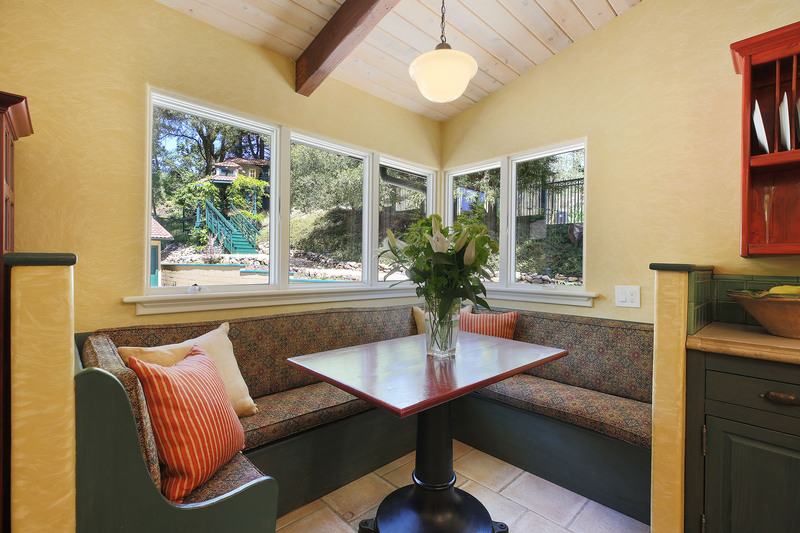 Perched above sits a playhouse like no other, just waiting for the perfect tea party. 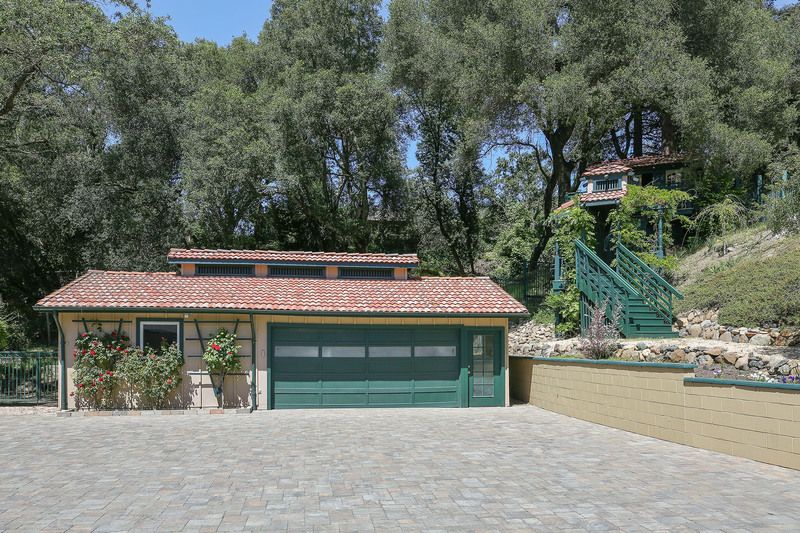 This craftsman detailed home is on all city services and allows plenty of room for a pool. 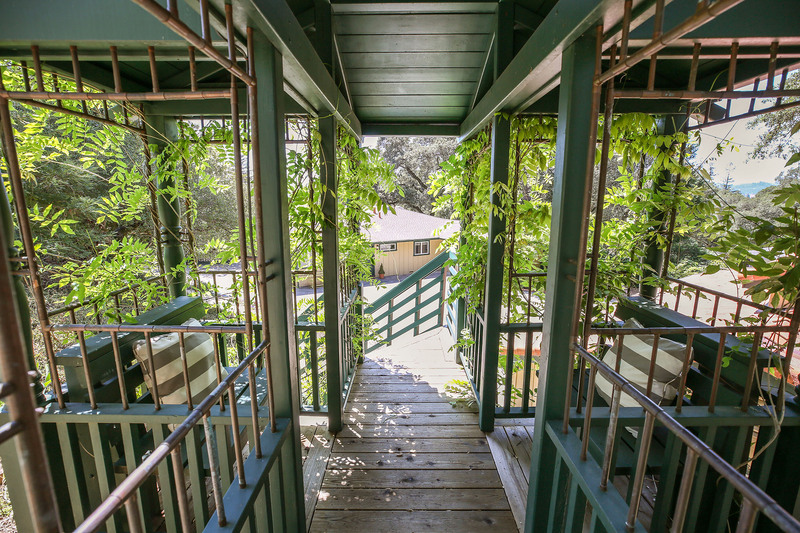 Perfectly located just minutes to town, yet extends a feeling of privacy giving you the best of both worlds. 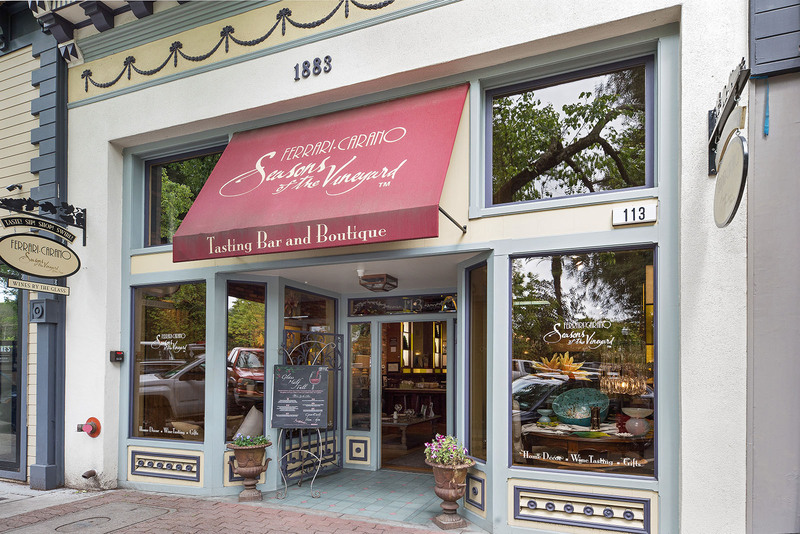 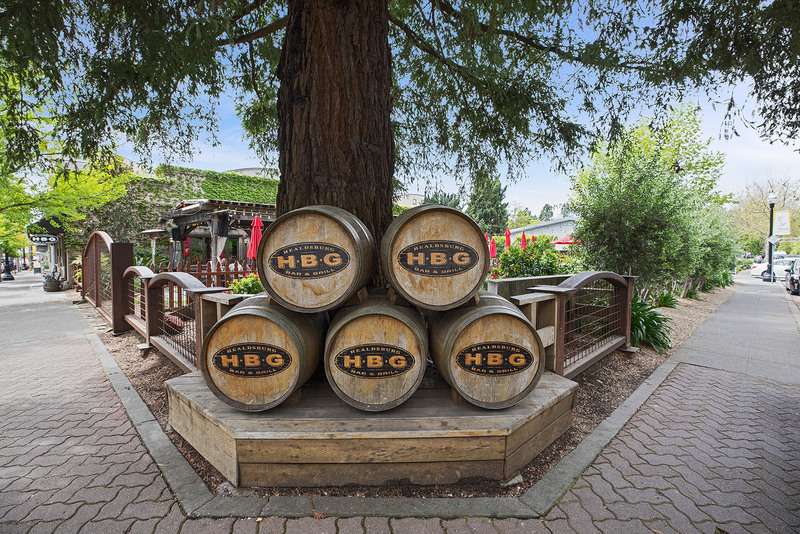 “Years ago, the city of Healdsburg was a dusty, agricultural burg devoted to grape growing and winemaking. 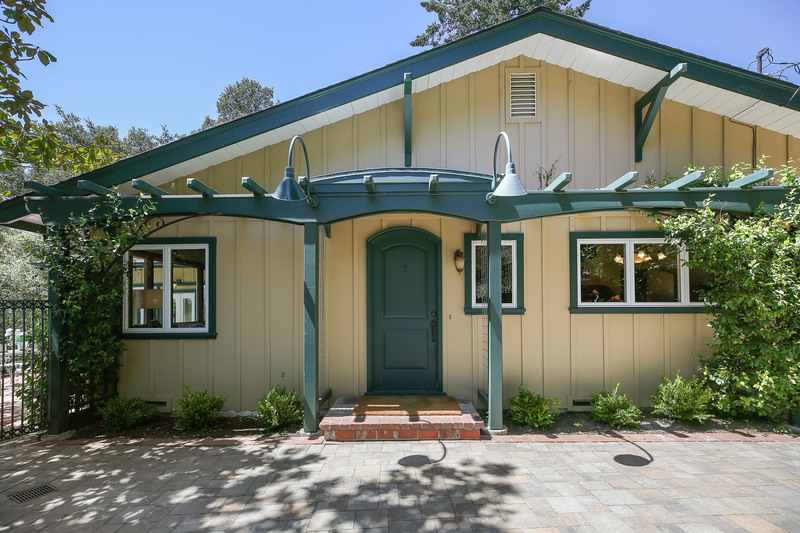 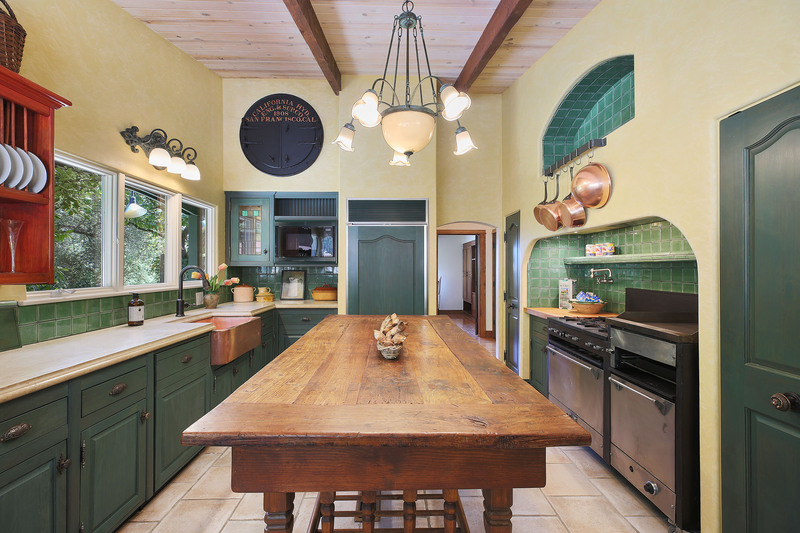 But as they say about houses, Healdsburg had good bones, and today homes in the city are highly sought after. 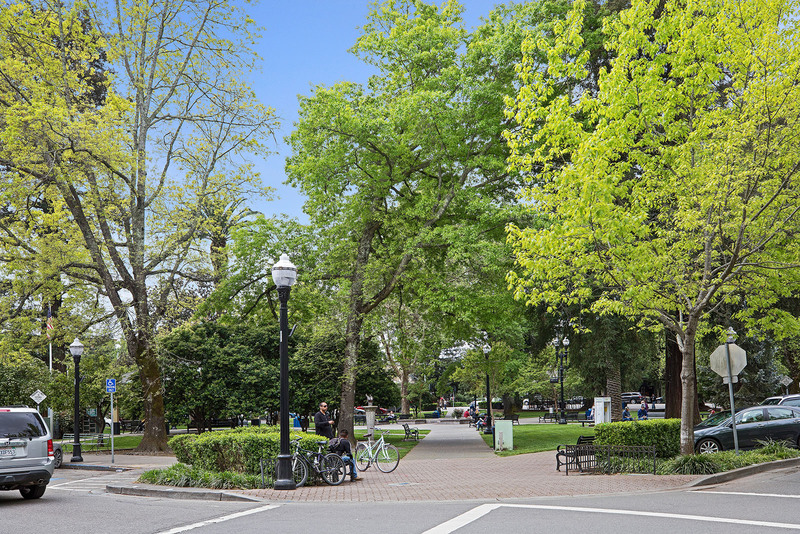 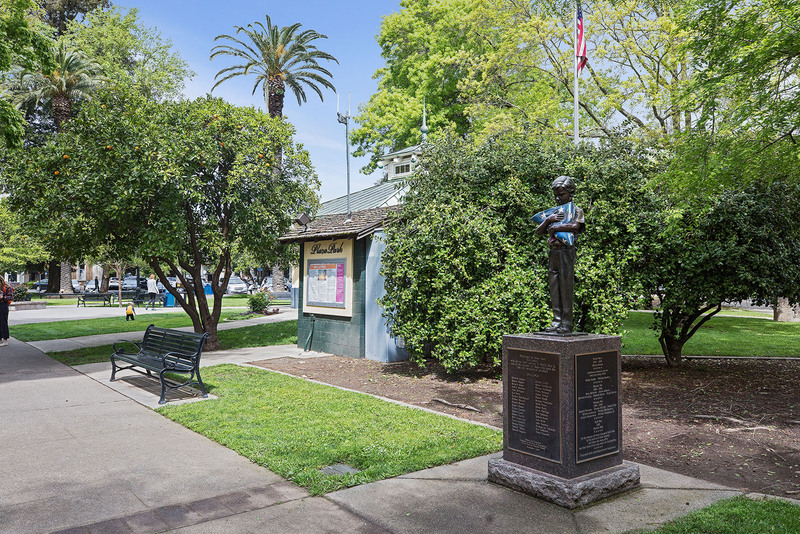 Healdsburg’s town square, a block of green space featuring a central gazebo that hosts summertime concerts, serves as the community’s central gathering place.